Project portfolio management is the management of the project portfolio so as to maximize the contribution of projects to the overall welfare and success of the enterprise. Now that organizations have discovered the importance of projects and project management, the next logical step is to move toward the recognition of PPM. 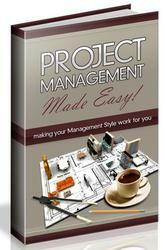 However, it is a very big mistake to think that PPM is merely an extension of project management. These two equally important functions are not alike at all. As more and more firms adopt project management central office or project management office (PMO) methods, it would not surprise me to see responsibility for PPM thrust fully into the hands of the chief project officer (CPO). This too would be a mistake. This chapter presents an overview of what PPM is as well as what it is not. Each of these topics is discussed in greater detail in Section Two.